Weatherscapes is an artwork series exploring the relationship of the weather and the landscape as it relates to human scale. 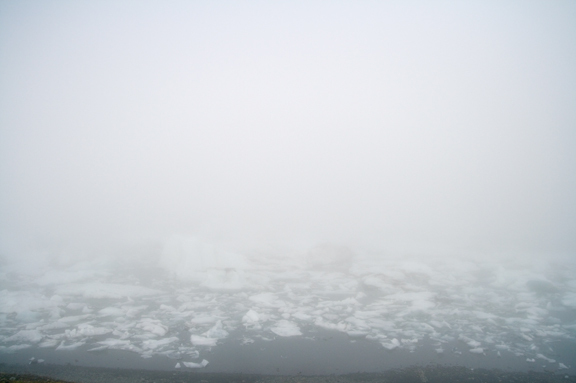 Weather­—fog, lightning, rain, ice, clouds—inhabits the otherwise vast abstract space between the body and the distant horizon. Weatherscapes capture a more compact environment, one that the body can engage with physically, creating a continuous and intimate ensemble between the body, the weather and the landscape. 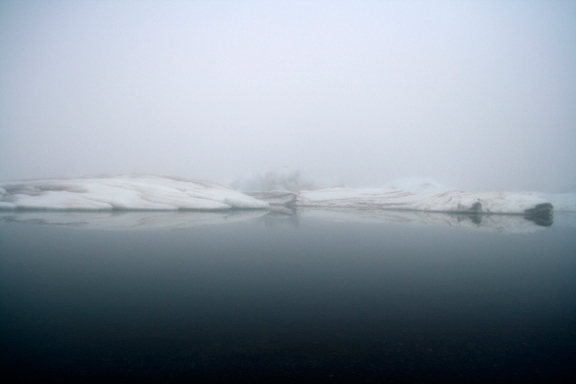 Weatherscape #15–L was created during the summer of 2008, when Méndez with partner Adam Eeuwens spent an art residency at the Gunnar Gunnarsson Institute, located in Skriduklaustur, in the Fljótsdalur Valley near Egilsstadir in the east of Iceland. 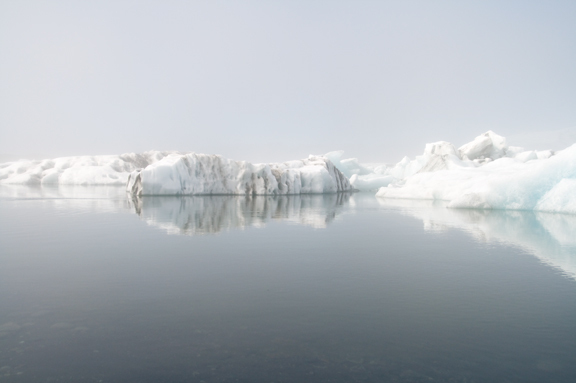 Weatherscape #15–L was photographed at 4 a.m. at the iceberg lagoon of Jökulsárlón.